Going back in time, year 2000, Active Server Pages was all the rage, performing server-side magic and integrating with databases with ADO. Tridion had just released version 4.0 and adopted the MS Scripting Host, supporting VBScript and JScript as the de-facto standard scripting languages. We had DTD Schemas, XML, Blueprinting, and re-usable content. Content Delivery was 1 ISAPI filter to render the dynamic links. Life was good. Today the landscape is very different and complex, with lots of the magic happening on the front-end Content Delivery tier, Context aware web applications serving mobile and desktop devices, running the latest SDL Content Delivery stack. Today the standard supported template languages from the CMS is almost the same as it was in 2000 – we publish content – .aspx or .jsp files, from the CMS to the Content Delivery tier. We can still use the good old deprectated VBScript language, or the SDL-created DWT scripting tags, or the recent XSLT mediator, if XSLT is your thing. So, you want to stay within the ‘supported SDL technologies and products’ arena – this is it. Not cool. But, look around and see what the SDL community has been up to, and hang on to your hat! It’s been a very busy last few years in the SDL community and today this is where all the cool kids hang out. .NET MVC – got it, with DD4T, created by Quirijn Slings – with great Forum support (185 questions answered) on StackExchange, classroom training from Trivident, and even a ‘Reference Implementation‘ built BY SDL on top of DD4T, called DXA (as of Feb 2015). Yes, the Reference Implementation is built on top of open-source SDL community software, by SDL, and yet DD4T is community software and not officially licensed or supported by SDL. Maybe DD4T and a dynamic MVC runtime is not your thing. Your content or design is not changing too often, and your development team is happy with the static publishing model from years past. If this is the case then the best option today is the Razor Mediator, created by Alexander Klock – again an open-source project, and again the most cool and often used technology on new SDL Tridion projects requiring static template programming, and again not officially supported by SDL. It also has good forum support (50 answers), great documentation with plenty of examples, and is widely used. With this mediator you might publish to a .NET Web Forms site or JSP files to a Web Application. The good news is both of these solutions play well with the _really_ cool technology SDL has been creating and supporting in the Content Delivery tier. Yes, I’m referring to the pieces that make up SDL Mobile, including the Ambient Data Framework, Context Engine and Contextual Image Delivery. In addition, all of these open source frameworks also play well with other SDL supported software including SmartTarget, FredHopper, and Media Manager. The community has grown by leaps and bounds in the past 15 years, and today this is where all the cool stuff is happening. It’s great to see so many active members in the community. If you have written your own framework, or built on top of the existing great frameworks out there, please share your solutions so we can together build the great frameworks of tomorrow. If you’re thinking about using one of the frameworks above, go ahead and embrace these open source frameworks and be part of the community that created them. These frameworks and solutions would not be where they are today without the time and support of developers at these organizations: Trivident, Indivirtual, HintTech, Building Blocks, Cap Gemini, SDL and Yabolka. Also, a big thanks to Nuno Linhares for his continued support of the SDL Community and organizing of the SDL Tridion MVP program. Using the Core Service we can easily get a list of all the Publish Targets in the system. We might want to do this if we are creating an app to publish items to a target (like the publish window) or if we want to Decommission a Publication Target in an environment, such as when we restore a database from one environment to the next. The following code will get a list of all PublishTargets available within the context of a Publication. If you want to get all targets in the system then using the Admin user is the best. However, if you want to use the logged on user, then see my previous article to use the Core Service as the authenticated user (for a web app). The data returned from the GetSystemWideList call changed between 2011 and 2013, and with the code below you will get all the info from the 2013 method. 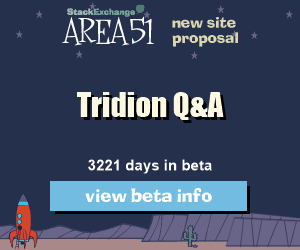 Special thanks to Likhan for the tip on the Tridion StackExchange. The Tridion Core Service is a powerful API that gives us access to everything in the Tridion system. Sometimes we want to use an account with Admin permissions to get lists of items or delete items, for example. However, when creating or publishing items, we often want to do this in the context of the user logged into our Web Application built with the Core Service. This article is going to explain how to use the logged in user to perform Core Service actions and also give you a small debugging tip for Visual Studio. I use a SessionAwareCoreService client which allows me to impersonate the user only with the username and not requiring a password. However, we do need port 2660 open between my local Visual Studio instance and the server if I debug against the server. Otherwise, if I work on my own local Virtual Machine with Tridion installed, I do not need to worry about this limitation. Then, after deploying to the server, it will work as expected. “look at the properties of the web project, hit F4 to get the project properties when you have the top level of the project selected. Do not right click on the project and select properties, this is something entirely different. The Tridion Event System is used to automatically perform actions for us when an event is ‘triggered’, such as saving a Component or Publishing a page. While programming our Event System solutions we sometimes need to specify the name of a Schema, WebDAV URL path of a Component, or (gasp) a Tridion URI. We don’t want this in our code and it’s better to have it in a config file. However, the Event System is a ‘Class’ project type, and we can’t simply put an app.config file in the folder and expect it to work. In this article I’ll show a small code sample that will allow you to read values from a config file. However, in Mihai’s article the code is fairly complex and has lots of functionality I didn’t need, and instead I prefer a more simple approach for getting the config file and getting a key. So, I’ve give the code a haircut and present to you just the bits you need to store the config values outside the Event System. Use the GetAppSetting(keyName) method to get your app.config variables. If in your Event System code you use static variables they will be “cached” and stay in Scope as long as the Event System is running. If you restart the TCM Service Host and TCM Publisher services then the static variables will be refreshed. I also use the .Net ObjectCache in the code to cache the values and this would be helpful in case your variables are not static in the Event System class. Finally, a small note, but the Tridion Event System likes to have 1 DLL, so if you reference any external libraries, or if you create many .Net projects with the solution (that produce their own DLLs) then you will need to put those DLLs in the GAC or use ILMerge to combine them. So, in that case, when possible, use 1 .Net project for the Event System and minimize the abstraction of the layers into their own .Net projects, as is often done with .Net solutions. For example, I created a ‘Model’ .Net project for the Models to share between the Event System and another project, but in the end this proved to be too much of a headache and instead I moved the Models into the Event System project. Publishing is at the heart of every Tridion implementation – and when it breaks, I feel a bit sad inside. Recently I had a strange content scenario breaking the Publisher service (and the TcmServiceHost.exe in Preview). This happens about 1 time every 2 weeks or so, but when it does, it’s painful. A seemingly normal Multimedia Component could cause this to happen, and we had no way to predict it. 1. Publishing a Multimedia Component (linked to Page) gets stuck at the ‘Rendering’ phase and will not continue or fail. 2. All other pages after this remain waiting in the Publish Queue. 1. Remove the Multimedia Components 1 by 1 until the problem one is found. We are still looking for the root cause. In the meantime, we need a way to make sure the Publish Queue does not get stuck. Create a Windows Service that scans the Publish Queue at a regular interval (ie. 5 minutes) and if an item is in Queue for 2 intervals at the same phase, it’s stuck. Remove the stuck item from the Queue, restart the Publisher service, and email an Admin. – Change the Phase to a phase that items stay in for more than 5 minutes while testing. I had a lot of pages going to ‘Failed’ on my local Dev box, so I set it to that phase. But if your Dev server is in better shape than mine, maybe you would want to change that to ‘Success’. – You should see the items disappear from the Publish Queue at some moment (after 2 time intervals have passed) and also a message written to the Tridion Event Log.